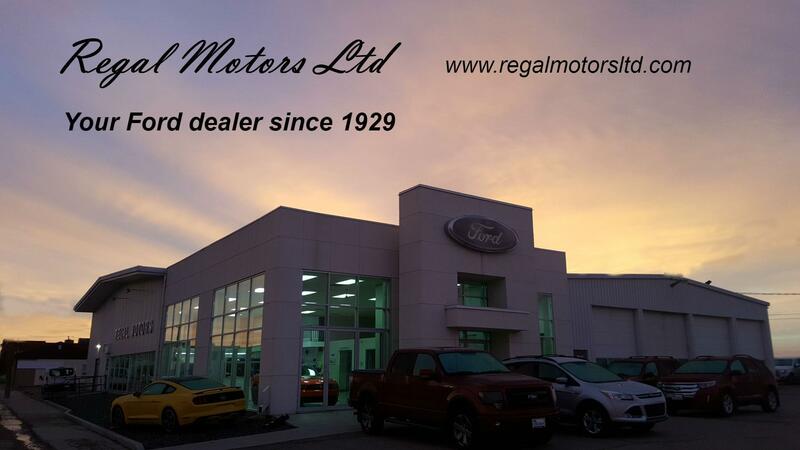 Established in 1929, Regal Motors Ltd has proudly served the community of West Central Saskatchewan for nearly 90 years. We are a dealership known for quality, integrity and customer service. We are proud to have received Ford's "President's Award" numerous times. This award is in recognition of outstanding customer satisfaction through progressive management, dedicated employees and high standards of operational excellence. Located one block east of the intersections of highways four and seven here in Rosetown, Regal Motors is just over an hour’s drive west of Saskatoon. Stop by Regal Motors for all your Ford service needs. Questions? Any of our knowledgeable service and sales people can help. Call 855-971-2211.